Explore the complete range of official Land Rover merchandise online. Our product range includes gifts and accessories for the whole family. There is a big world out there to explore, and Land Rover's exclusive collection, inspired by its infamously rugged vehicles, ensures you are equipped for any adventure. Land Rover gifts are the perfect present for any Land Rover enthusiast and have been exclusively created to suit all lifestyles. 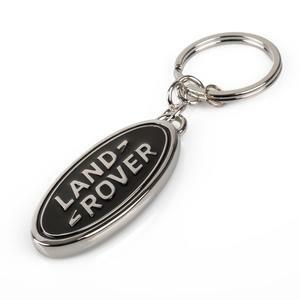 These gifts range from the Land Rover branded keyring which is the ideal stylish addition to keep your keys safe. Available in a range of styles, whether simple leather loops, stylish metal logos or unique coloured vehicles, there is a keyring to suit all personalities and tastes. Expertly made high-quality leather wallets and card holders are an ideal gift and design classic, even available in the Union flag design for a quintessentially British touch. Explore these collections, ideal gifts for her, for him and for young Land Rover fans. The Land Rover teddy bear range is beautifully crafted from plush, soft touch fur, whether you choose the Adventure Bear or Rugby Bear they are guaranteed to be the perfect gift not only for little ones but also for the Land Rover fan of all ages. The Land Rover range of accessories covers everything from keyrings, luggage and umbrellas to blankets and towels. Stylish umbrellas such as the Land Rover golf umbrella keep you dry whilst looking effortlessly fashionable. Sleek phone cases available in a wide range of colours and styles keep your phone protected and secure while adventuring outside. Stylish heritage trunks and backpacks are dapper additions for any Land Rover fan. Land Rover accessories are strong, durable and are guaranteed to love outdoor exploration as much as you do. Comfortable, hard-working and full of innovative and smart features, Land Rover's range of gifts and accessories is sure to enhance your adventures and lifestyle.